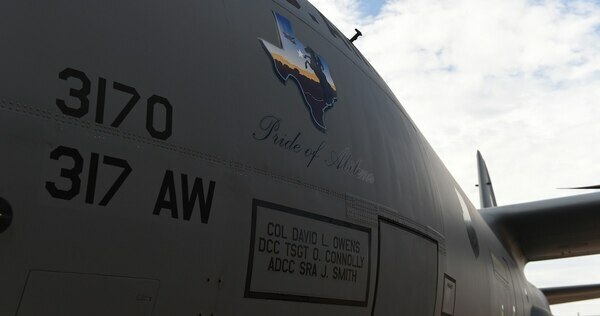 Col. David Owens was fired from command of the 317th Airlift Wing at Dyess Air Force Base in Texas after an investigation outlined a repeated pattern of berating and ridiculing airmen under his command and toxic leadership. 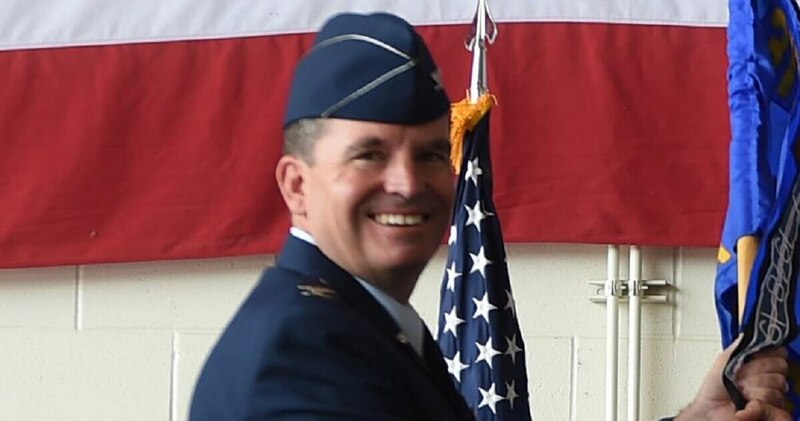 Owens is now one of the senior directors of operations with the 618th Air Operations Center at Scott, and does not have airmen assigned under him, the 18th said. Air Force Times sought comment on the report from Owens, which the 18th forwarded to his defense counsel, but there has been no response. Airmen at the 317th quickly grew to dread Owens' mercurial moods, furious outbursts over relatively minor bad news or delays, and his tendency to single out and publicly ridicule airmen. The report said that Owens had “good days,” when he was talkative and welcoming, and “bad days,” when he would become angry or frustrated, and airmen would avoid him. But even on good days, the wing front office was so quiet you could “hear a pin drop” and staffers were constantly “walking on eggshells,” not knowing when his short temper would erupt. He frequently swore and slammed his fist on desks at minor setbacks like name patches not arriving on time, building updates taking too long, or trees by the headquarters building not being trimmed fast enough, the report said. Owens once even “became visibly angry” after birds defecated on his personal vehicle, the report said. Staff in the 317th started to find ways to work around his quick anger. When the name tapes were taking longer than expected, though airmen tried their best and ordered them with expedited shipping, he became “over-the-top mad” and “pissed off” and told his executive officers “If I have to order this s--- myself, I will do it.” Things became so bad that a civilian employee took it upon herself to present updates about the name tapes to Owens, believing he was less likely to yell at her because she was a civilian. That airman told investigators he became physically angry, which he said had never happened on the job during his 25 years on active duty, and left the meeting “completely demoralized." He felt like that meeting broke his spirit, he said, and he didn’t sleep for two days. The stress had become overwhelming. Owens also launched into a profane tirade last October after a group superintendent — who was also a loadmaster — didn’t show up at a leadership offsite meeting because he was flying a hurricane relief mission. The officer who approved that group superintendent’s participation in that relief mission told Owens he hadn’t “put two and two together” and realized it would cause him to miss the offsite. “You need to fix stuff like this and you need to put two and two together if you want me to stay out of your s---,” Owens told the unnamed airman. At that Oct. 11 offsite, Owens — who was in a bad mood because of the group superintendent’s absence — singled out the newest squadron commander and grilled him on the details of an AFI. Though participants in the offsite were given some “homework” in advance to review, nobody had been asked to brush up on that particular AFI. 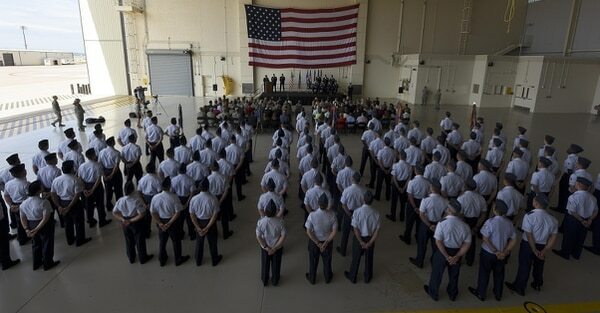 The breaking point for many airmen came during a retirement ceremony last November. The retiring airman wanted to have a Presidential Certificate of Appreciation from former President Barack Obama presented as part of his ceremony because members of his family had worked for then-Sen. Obama in Chicago years ago and it would have meant a lot to his family. Owens didn’t care why the retiring airman wanted the Obama certificate, the report said, and demanded another unidentified airman “unf---” the situation by telling the retiring airman he would have a certificate from Trump presented, or no presidential certificate at all. With that order in hand, the unidentified airman raced to the ceremony location, just a few minutes before it was to begin, and told the retiring airman he wasn’t allowed to have just the Obama certificate presented. That retiring airman became very upset at having to change his retirement script at the last minute, and was extremely disappointed because the certificate would have meant a lot to his family. The unidentified airman told investigators he felt the blow-up let the retiring airman down, ruined his retirement, and potentially tainted his last day in uniform. The airman said his “biggest disappointment” was that he was unable to de-escalate Owens' stress over the situation before coming up with a solution. That retirement ceremony was a “tipping point” and “catalyst” for conversations about Owens in the wing, the report said. Airmen began openly talking about their concerns that Owens had become toxic, and the overall command climate was breaking down. Airmen also discussed ways to possibly “mentor up” Owens and provide him feedback, if only he would receive it. One unidentified airman was so upset about the retirement ceremony that he left his daughter’s birthday party to go to another airman’s house to discuss the problem. They agreed that Owens “had just lost the respect of the senior NCOs with regard to the command climate” and “severed his relationship” with them. That following Monday, Owens stood by his decision about the retirement ceremony, and went on to disparage the retiree as not deserving of a retirement medal, and that he hadn’t done anything for the last six months. Owens appeared to realize things had gotten bad. He “clearly received” feedback about the situation from an unidentified airman, and ended up speaking with several different commanders individually, and even apologized to one airman for how he had treated him. The report said that after that, his leadership and communication style noticeably changed for the better. But because things had been so bad for months, squadron and group leaders remained unconvinced that he had genuinely changed. The command teams wondered if he might revert to his former ways in the face of significant stress. Several witnesses also feared the possibility of “disguised” or “calculated” retribution or reprisal from Owens for complaining or talking to investigators.